Where will Metrology be in the Next 10 Years? The future of metrology in inspection and quality control operations will become an integral procedure within manufacturing processes. With the acceleration of new developments in technology, metrology has evolved to support extensive measurement requirements, incorporating an array of sensors to make your production processes more thorough. The past 25 years has introduced a much more advanced selection of metrology technology solutions, especially with the introduction of multi-sensor machines that enable manufacturers to adapt their measurement procedures to changing industry needs. With these advances already dominating the market, what can we expect in the future from metrology? Here are the predictions brought to you by OGP UK. Inspection is slowly shifting from metrology labs and quality control environments to use directly on the production floor. This transition will certainly require equipment flexibility alongside portability and simplicity, whereby the measurements can be carried out without human intervention and integrate self-correcting technology based on these automatic measurement routes. Whilst metrology system functions can be expected to become more complex actual operation of the machine will be significantly simplified to ensure that the same people manufacturing the product can also inspect them. It is also anticipated that measurement procedures will be conducted several times down the production line, ensuring products are of the highest possible quality. With quality control and part inspection transitioning into the responsibility of production floor operators, metrology equipment will be required to be more intuitive and comprehensive for optimal ease of use. Part inspection processes are expected to progress and evolve to a point that they are not only managed by quality control teams, but will also become the production team’s responsibility to carry out. Self-correcting, automated metrology solutions will eventually lead production floor quality control, where 3D measurement technology will be prominent in the gradual replacement of probing systems- this is due to speed of acquisition and density of information analysed. In the future manufacturers can expect complete synergy between hardware and software, optimised through parallel development of both. This will aim to maximise interaction and operations between the two system components that are integral to your measurement routine. Subsequently users will benefit from improved system capabilities where generic software compatibility with all metrology machines will allow for seamless integration as well as complete ease of use. Much like existing supporting software QC-CALC works alongside selected OGP software packages to ensure your multi sensor metrology data collection process is seamless by carrying out automatic, accurate and fast data collation. Producing numerous report operations such as control charts, process charts, and miscellaneous reports as well as providing data editing and filtering features- ultimately enhancing your current software’s data analysis capabilities. Automation is another technology anticipated to become a huge part of metrology in the future. Operator machine programming will gradually become an automatic process built into intuitive system integrated software and carrying out part programming by itself. Finally, Industry 4.0 will likely introduce smart measurements whereby the system can determine faults as well as auto-correct them. Discerning defaults, pinpoint their exact locations within the production line, transmit this information to the software interface and then correct the error during production. Our predictions of the future of metrology place measurement technology directly on the shop floor with advanced, automatic measurement operations allowing for a more efficient production line where inspection and quality control can be carried out several times throughout production. 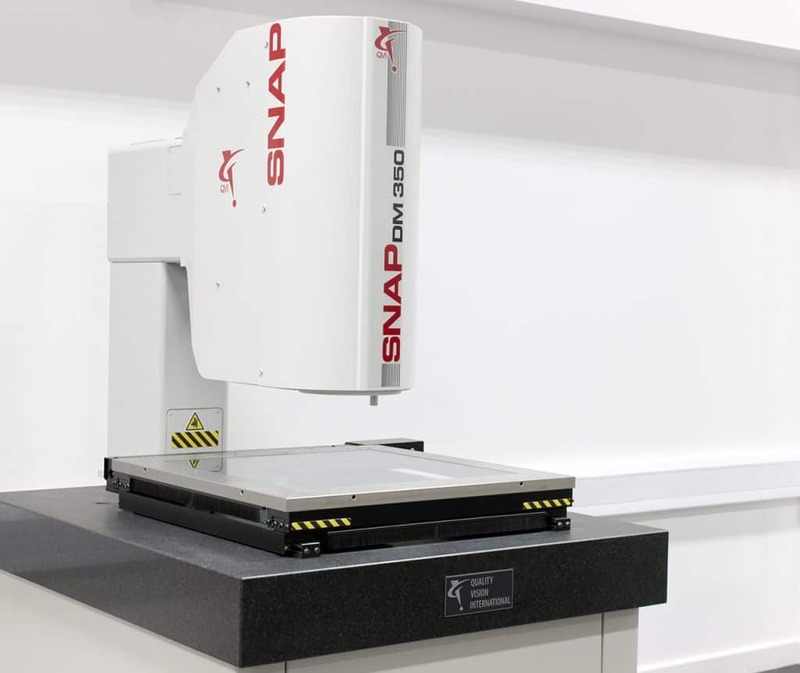 The SNAP DM350 introduces a new era of metrology by conducting non-contact, high-definition video based 2D co-ordinate measurement which is able to measure any part within its 100mm field of view and zoom lens at just the touch of a button. This machine incorporates both automatic optical measurement and ease of use to suit even the most inexperienced operators, delivering rapid, accurate results as well as offering a robust yet compact design allowing for its placement within the production environment. Its auto-recognition feature means that it is simple to use with minimal training due to its ability to automatically identify the part’s orientation- just place your part on the stage and press the button and you will receive a full component analysis in just seconds.